If you did not already know, Nexon Korea is now preparing a mobile version of Mabinogi, conveniently known as Mabinogi Mobile. 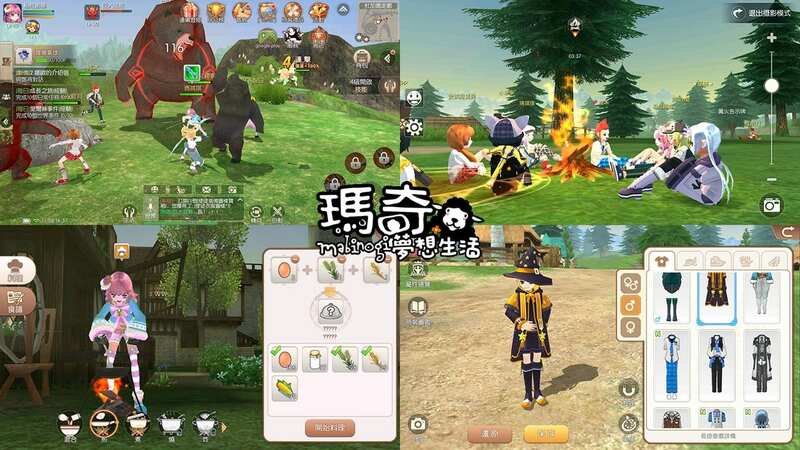 However, there is actually another mobile game officially based on the Mabinogi IP which recently launched in Taiwan, Mabinogi: Fantasy Life. I am not sure which studio developed this mobile MMORPG, while publisher Kimi has some big titles such as Dragon Nest M and Bleach. As my region doesn’t have access to the PC version of Mabinogi, I am trying out this mobile version as a total newbie to the series. I do have a little knowledge about how Mabinogi works regarding age, generations, and rebirth, and these core systems are all in Mabinogi: Fantasy Life. One of the main things I noticed is the lack of automation in both moving and combat, which some players might prefer to have. But for mobile users, this might prove to be too inconvenient. Having only played for a couple of hours, there are still some features which I have yet to come across, such as the music concerts and campfire. I will list down the official game features below. 4 starting classes, with more to be unlocked in future updates (and teased in character creation screen). Players can gather around campfires to chat, gaze at the stars, and have a meal together. Players can team up and start a music concert by playing different types of instruments. • Cooking, milking, getting wool from sheep, gathering plants… Theses are some of the life chores players can take part in to create more items. There is a huge selection of costumes in the game, both from the cash shop and in-game features such as quest rewards. Similar to costumes, there are many types of mounts to collect in the game to cut short traveling distances.